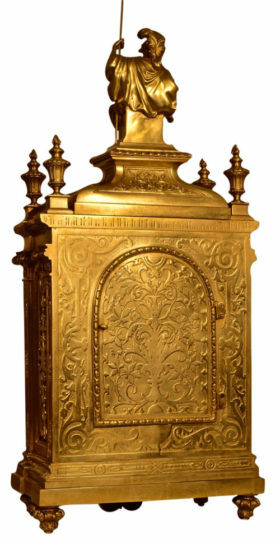 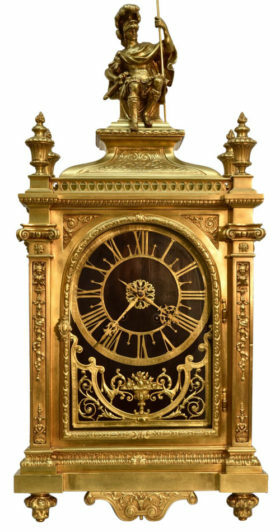 This French oversize gilt bronze mantel clock features a fretwork bronze dial over a beautiful walnut background. 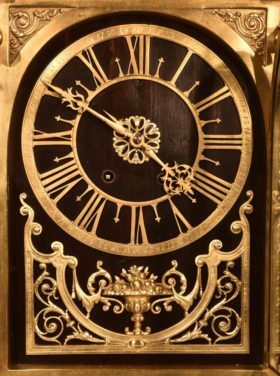 The figure of a warrior on a crest sits atop the clock. 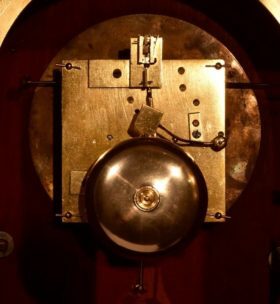 Done by F. Marti, this clock has an 8 day movement with an hour and half hour strike on a bell.